A couple of days ago, rumors started circulating that a worker had fallen on one of Dawn's solar panels, damaging it. Those rumors were unfounded, a gross exaggeration of an actual incident. 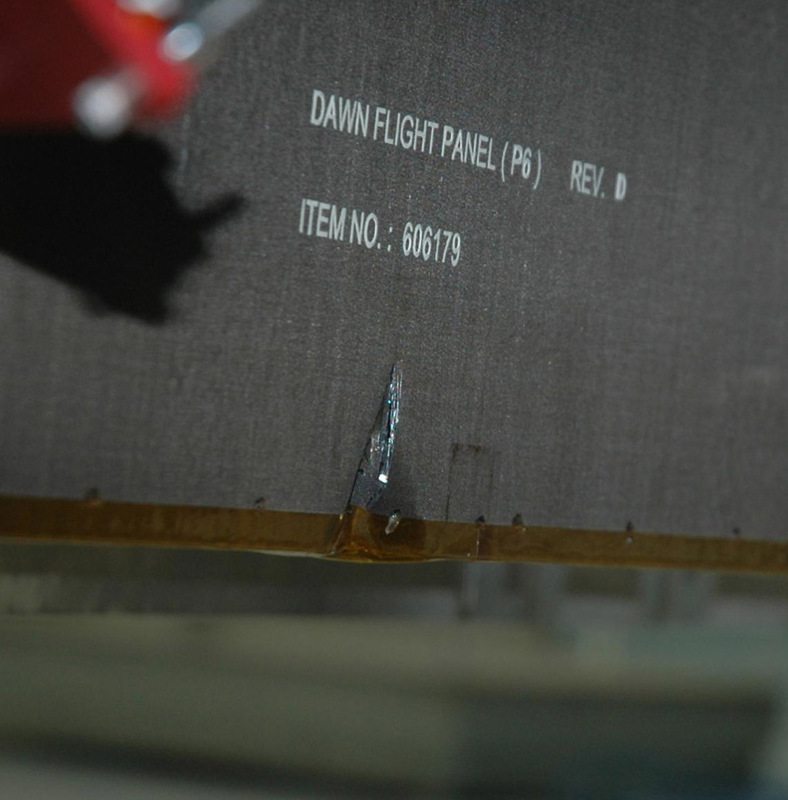 A worker's tool did make accidental contact with the back of one of Dawn's solar panels, leaving a mark; but they'll be able to repair the problem this weekend with no impact on the launch schedule. Phew! On June 11, during a procedure to prepare the Dawn spacecraft for spin-balance testing, the back of a solar array panel was slightly damaged by a technician's tool. The size of the affected area is about 2.5 inches by 2 inches. The necessary minor repairs will be made during the coming weekend. There is no impact to the launch date of July 7.